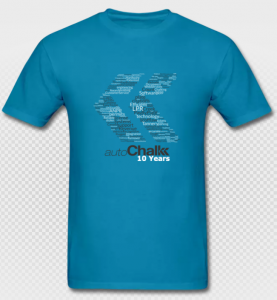 We’re celebrating 10 years of autoChalk! If you’re in New Orleans for IPI 2017, please come by booth 731 and snag a limited edition autoChalk 10 years shirt. If you’re a current customer, you just might find the name of your organization in our word cloud. Thank you for continue support of the autoChalk product family.